Lavallette officials have received a request to become the first Shore area town to install “small cell nodes,” mini cellular antennas to fill in coverage gaps and accommodate spikes in summer mobile traffic. Usually reserved for rural areas with spotty coverage or urban areas where capacity is at a premium, Verizon Wireless officials believe the technology can be used successfully in the Shore area to make sure both data speeds and voice traffic are able to keep up with seasonal demand. “If I’m texting or using GPS and a phone call can’t go through because of that – maybe an emergency call – these nodes will smooth that out,” said Richard Komissar of Tilson Technology Management, which is representing Verizon Wireless. Komissar said the node devices, which consist of a mini cell phone antenna and control box, can usually be installed on existing utility poles. Rarely, a new pole must be installed. Komissar said between two and five devices are likely needed in Lavallette. The borough is tasked with approving the request because Lavallette operates its own electrical utility. The company has agreements in place with the major electrical suppliers statewide to support its work in other communities. Lavallette’s borough council stopped short of approving the request at a meeting Monday night. 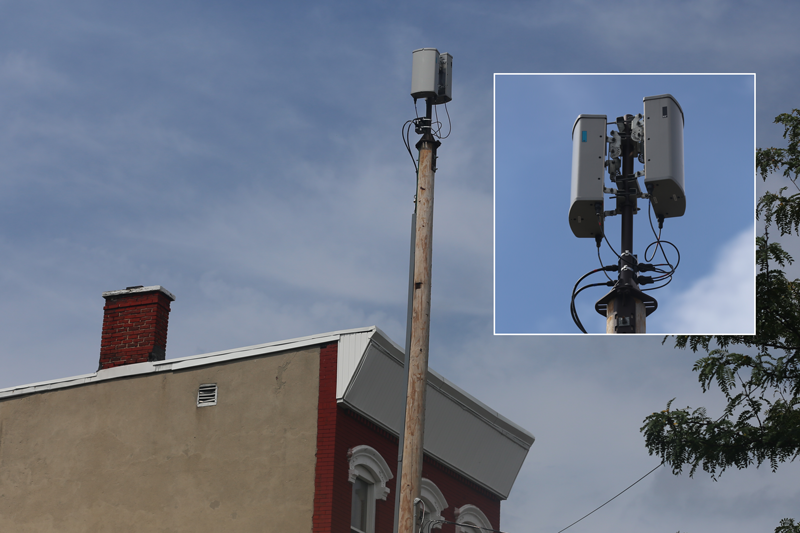 “Verizon’s going to make more money by doing this on our poles,” said Councilwoman Joanne Filippone, asking Komissar whether the company could pay the borough to rent additional space on the town’s water tower for an extra antenna. Komissar said the technology augments the existing wireless signal in town and adding a second antenna to the water tower close to the current one could actually degrade the signal. Finter said he would look further into the technology and provide a report at a future council meeting. Documentation from Verizon, however, indicates that the project could potentially go forward even without the borough’s permission under state policies.